Well, sort of. Although it’s called Sonic Adventure, it’s actually Sonic Adventure DX, with Sonic Adventure labels. More specifically, it’s a port of the PC version of that release. Yes, it’s a port of a port of a port. I’m sure everyone reading here is familiar with how Sonic Adventure worked. Gameplay is divided between six characters, each with their own style of play. 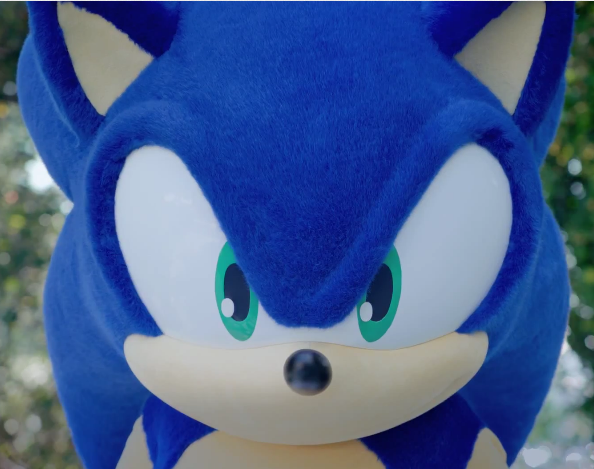 Sonic is the high speed platforming we all know and love, Tails is Sonic minus Spin Dash, but with flight, Knuckles glides, punches, and goes on fetch quests, Amy is running for her dear life from Eggman’s Robotnik’s evil machine, Gamma blasts everything in sight, and Big goes fishing. 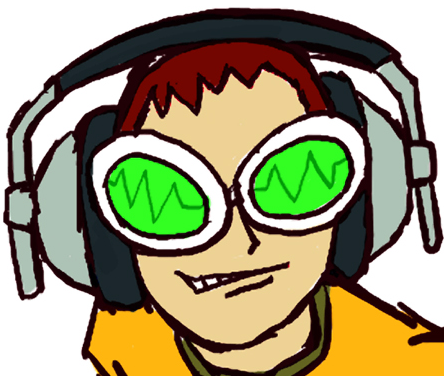 Additionally, there’s a chance for Sonic to get high on Emerald juice, and do his super speed thing. As far as the port itself goes, it’s pretty much a no frills conversion of the PC game. 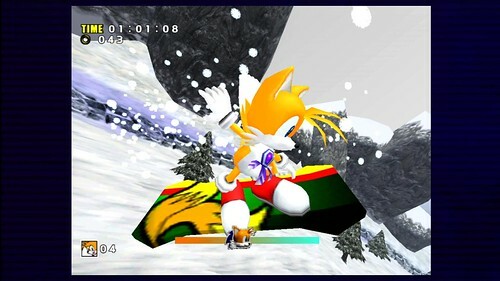 As far as new features go, it runs at a solid 60 FPS during normal gameplay (cutscenes are capped at 30), it has an option for proper dual stick camera control (which the 2006 Sonic the Hedgehog failed miserably at), the ability to use custom soundtracks, and the Chao naming machine actually supports use of the 360 Chatpad. There’s also leaderboards where people can share their best level times, scores, and fishing catches. That’s pretty much all you get. My brethren with those fancy HD TVs tell me that the game does not support widescreen, sticking to a 4:3 ratio all the way through. There are also some weird touches to the lighting/shading. Half of the time, the characters look cel shaded for no real reason at all. Other than that, there’s no bug fixes (or bugs added for that matter), no new dialogue recording, no animation fixes, or any other pizazz. The game comes with 12 standard achievements, and for another 400 points you can add three more. 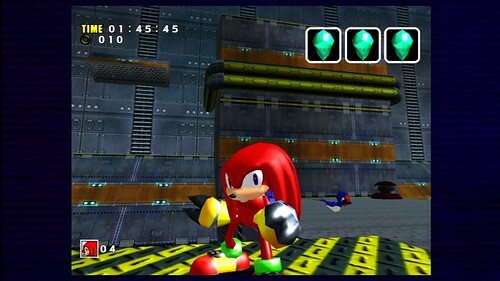 The DLC upgrades your game into Sonic Adventure DX, which changes the menus, adds a set of missions to complete, and adds a Metal Sonic costume for Sonic. The minigames are absent either way though. All of this said, if all you want to do is replay any of the Sonic Adventure ports at a solid 60 FPS, and get some extra achievements on the side, this is a great deal for a mere 800 points. 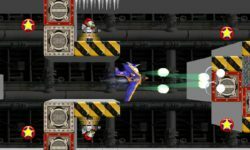 If you wanted anything fixed, improved, or added extra at all, then you’re better off passing this up, and hoping Sega eventually attempts another re-imagining some time. 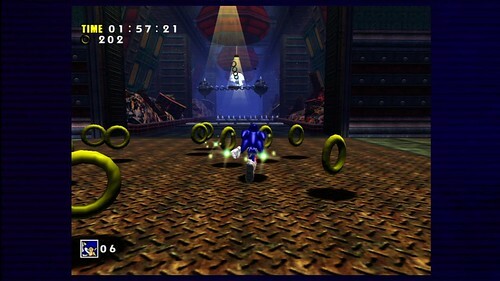 Graphics look pretty good compared to the Dreamcast. That’s because as the article said, it’s a port of the PC version. In which they only changed the character models. In layman’s terms, this actually means “they did not include the unlockable Game Gear emulations”. Further minor differences between this and previous versions are currently being discussed in the relevant forum thread. I still can’t believe they ported the PC version, and left out widescreen, how stupid are they to not be able to put a pc game in widescreen? Hell, I play SA2B in widescreen on Gamecube (emulated of course). Seeing that the game is also available for the Playstation 03, this will be well worth the 07.99 that I will be paying for it.